“The United States Virgin Islands are possibly, the most visited of the Caribbean Islands, lying about 1,100 miles southeast of Miami, Florida. It is estimated they receive at least two million visitors a year. 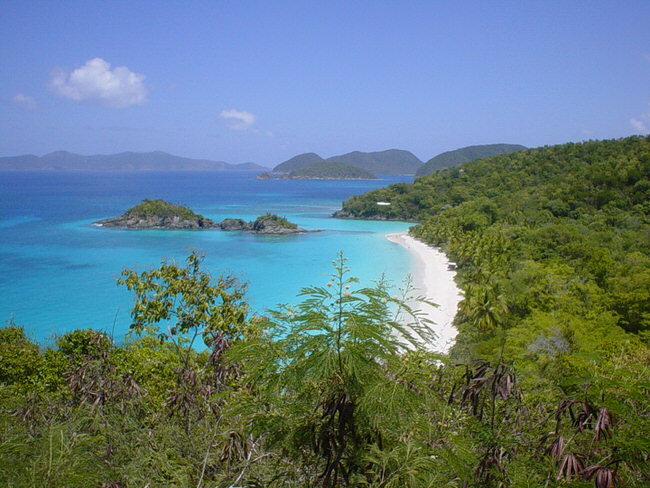 About 50 islands make up the USVI, some large and others just rocks or coral that barely rise above sea level. 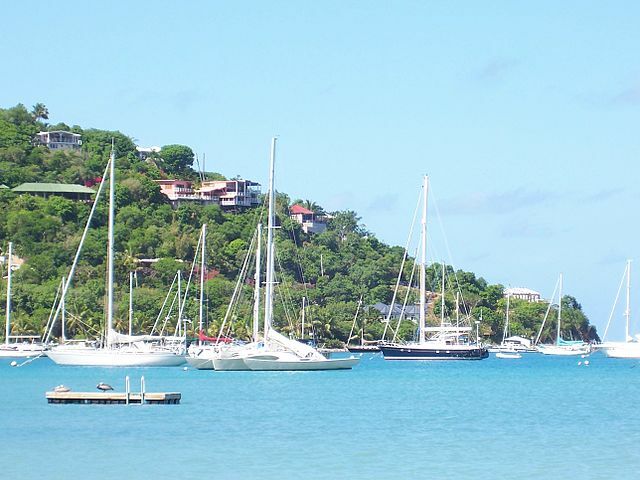 Most visitors concentrate their efforts on the three largest islands, St. Croix, St. Thomas, and St. Johns. 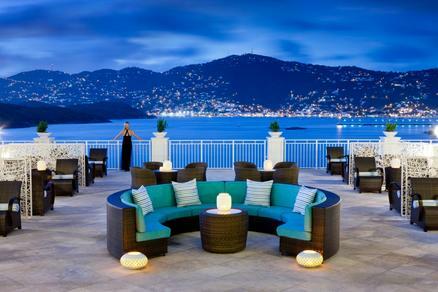 For the best results start with our vacation planner and get connected to our Virtuoso, Travel Advisor that specializes in the US Virgin Islands. You’ll prevent costly mistakes, get the best airfare, luxury amenities, free upgrades and enjoy planning your trip. We do everything for you, air, car, hotels and transfers. 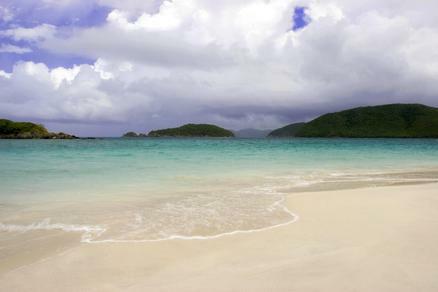 No passport needed to visit the US Virgin Islands. 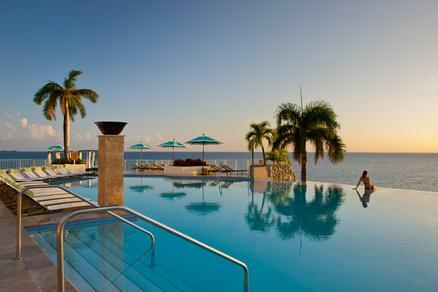 The islands are in the direct path of the trade winds, which make the temperature and the weather superb year round. Temperatures average in the mid 80’s and the sun shines nearly every day, with an occasional rain squall that never lasts more than a half-hour. St. Croix- St. Croix is the largest and most rustic of the United States Virgin Islands, which also include St.
Thomas and St. John. The island’s main towns are Christiansted and Frederiksted. Christiansted is a Danish-influenced town on the north coast known for its restored historic architecture, modern shopping, delicious dining and other interesting tourist attractions. Frederiksted, the island’s colorful port town on the west coast, has recently experienced a major expansion and bustles when the cruise ships dock. Beaches on St. Croix are beautiful, plentiful and open to the public, and the marine life and shoreline drop off are a draw for interested divers. There are modern, high-rise hotels with world famous restaurants or bare site campgrounds with picnic tables to accommodate the visitor. 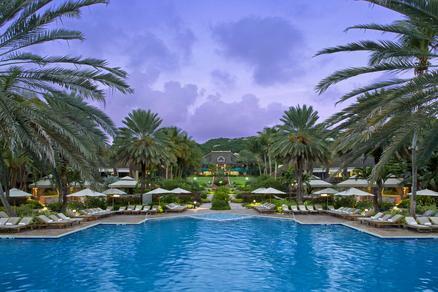 No matter where you stay, a tropical wonderland is waiting to be discovered. The islands abound with bougainvillea, oleander, carissa, flamboyant, jasmine, and the territorial flower of the USVI, the ginger Thomas. Orchids of seemingly endless varieties cover each of the islands, as do the red, white, and yellow frangipani. The century plant bloom, growing 10 to 20 feet high in the spring, is also a common sight. The Carib Indians greeted Columbus’ crew with a barrage of arrows when the Europeans landed on St. Croix in 1493 in search of fresh water. Retreating, Columbus continued north through a maze of islands, dubbing them “Los Virgines,” as their beauty and numbers reminded him of the story of St. Ursula and the 11,000 virgins. For almost a century the Caribs remained the sole inhabitants of the islands. 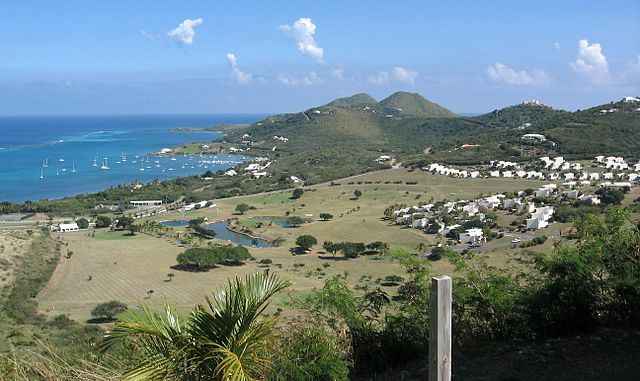 However, in the middle of the 17th century, the Dutch and British began establishing plantations on St. Croix. In 1650 the Spanish returned to regain possession, but quickly lost it to the French. In less than three years, France leased St. Croix to the Knight of Malta (of Crusading fame). While the French continued their interest in St. Croix, the Dutch West Indies and Guinea Company took possession of St. Thomas. 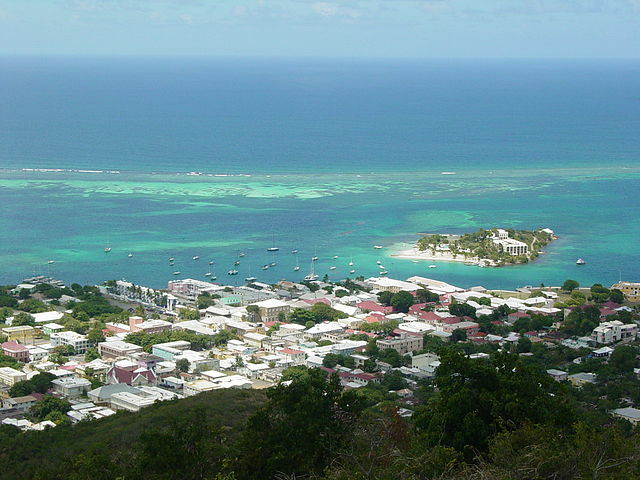 The town of Charlotte Amalie was established in 1672, and the rest of the island was divided into plantations. In 1717 the British settlers arrived from Tortola in the British Virgins Islands, and the Danes turned St. John into a sugarcane-producing island. St Thomas gradually turned into the trade center on the Virgin Islands.